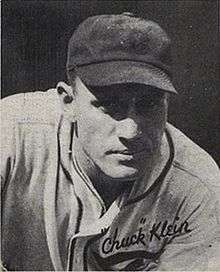 Klein went to the Pirates during the 1939 season, but was back in Philadelphia the following season. 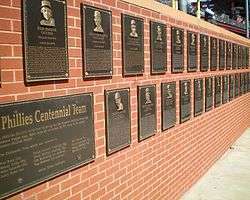 For the last five years of his career, he was a part-time player, often used as a pinch hitter. 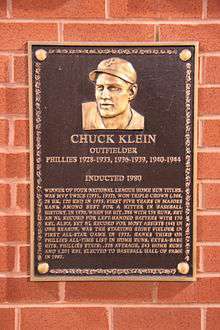 He retired after getting one hit in seven at-bats in 1944. 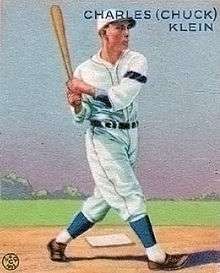 In his 17-year career Klein batted .320, with 398 doubles, 1,201 runs batted in, 1,168 runs, 2,076 hits, 74 triples, 300 home runs, a .543 career slugging avg.,and an OPS of .922. ↑ "Chuck Klein succumbs". Times-News. March 27, 1958. Retrieved December 24, 2014.